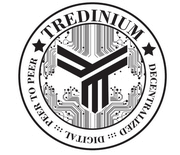 Description: The TREDINIUM ico project is a crypto currency. It is a big project that will start to be used in our country and will reduce the use of paper money to provide new cash flow of the future. I TREDINIUM token passes to individual projects will create life in your wallet payment method aims to make Turkey will be the first place in all parts of the e-commerce sites, and open to the circulation through the automotive sector will open. TREDINIUM token will gain value in buy&sell platform.